If you want to feel like you're in Tarzan's crib or maybe discover what is your spirit animal, join us to…. Imagine a room full of trees and wild animals!! That's exactly what Villa will become! And we'll prepare an original decoration just for you!! Only the fittest will survive. Do you feel ready to go on this trip with us? 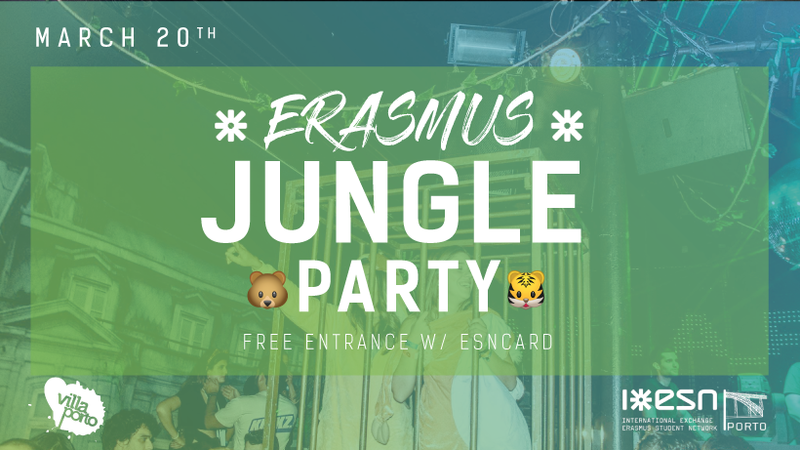 Let your inner party animal go free at this party where we can only promise the true meaning of wildlife! Note: Unfortunately “Villa Porto” is not a space fully prepared for people with physical disabilities, but we can always manage a way to help you party with us!